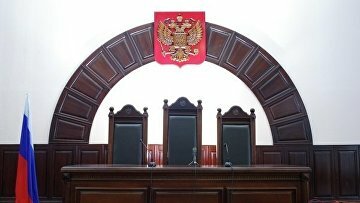 State Duma adopts bill extending disciplinary sanctions against judges | Russian Legal Information Agency (RAPSI). MOSCOW, July 19 (RAPSI) – A bill extending disciplinary sanctions against judges has passed its third and final reading in the State Duma. The bill envisages introducing such punishment as reduction of judges in qualification category for serious disciplinary offenses. This disciplinary penalty would allow qualification board of judges to take disciplinary actions against judges more accurately and differentiate liability for committed violations depending on the situation. Amendments are proposed to the laws On the Status of Judges in the Russian Federation and On Bodies of the Judiciary in the Russian Federation. They are aimed at the shift in the role of court chairmen in judge appointment and improvement of the order of judges’ disciplinary responsibility, an explanatory note to the bill reads. Russia’s business ombudsman Boris Titov has backed the bill. He has said that it is also necessary to give the Supreme Court a mandate to reverse patently illegal rulings delivered by lower courts. 16:02 19/07/2018 A bill extending disciplinary sanctions against judges has passed its third and final reading in the State Duma.